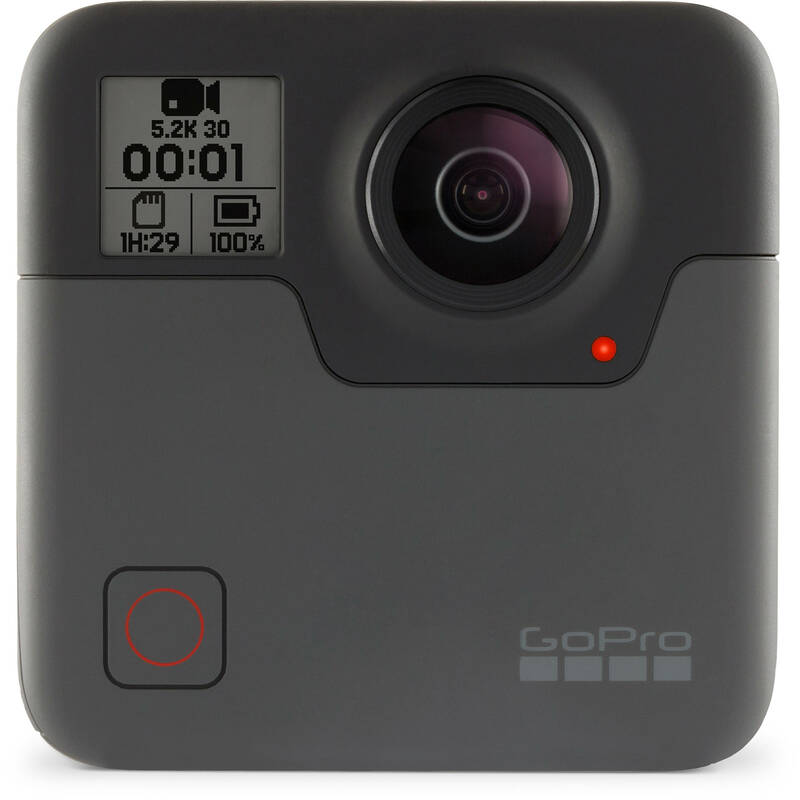 Things We Love: GoPro Fusion, The Ultimate Vlogging Camera? Fusion is rated 3.6 out of 5 by 19. Rated 3 out of 5 by m c. from good camera bad processing It takes great pictures and great video unfortunately, rendering takes an incredible amount of time (as in hours). I rendered a video with the Fusion Studio app it took me 17hours to do an 8minute 11 second video at 5.2K. File size was extremely large 53GB. I used a MacBook Pro, 2.8 GHz Intel Core i7, 16 GB 1600 MHz DDR3, Intel Iris Pro 1536 MB. If you have to do longer videos you can also pull out the two cards transfer all the pieces to your computer and stitch them yourself (not as easy). Another option would be to buy something that does the stitching and rendering as it records, otherwise, this is not a convenient option unless you are doing low quality videos. Rated 4 out of 5 by heddy from Great device I had other 360 video camera before, and this (GoPro) is more expensive than others.? My five year old child can shoot video with this and it showed little or no shake.? Also, video quality is better than other video cameras.? I was worried I was wasting my money but now I think it is worth the price.? It takes little time to learn.? Once I learned how to use it (after few days)... I really started to like it.? To me it was money well spent.? 4 Star because nothing is perfect (there are a lot of rooms to improve but this is a new tech, only few years in the market) but it is worth it. Rated 5 out of 5 by Riley from Amazing The picture quality is great. Highly recommend this camera and be sure to download the Fusion Studio (FREE). It helps you use all the cameras features- and editing It removes any shakes from your video.? We took this camera to Times Square and were able to get amazing footage. Later in the week we took it to Hudson Valley and took amazing shots of the kids playing in the snow. GoPro has made 360 easier than ever before.? We bought this in the store- and the? B&H team was so helpful when purchasing this camera- we had a fabulous experience in the store with them. Rated 5 out of 5 by Suresh from 360 Done Right We live in an HD world with HD expectations. I have tried 4 different 360 cameras before Fusion and had the same issue with all of them. The video quality was unacceptable and in most cases unusable. Fusion is the exception to the rule due to the following: 1) Fusion captures content in 5K and creates stunning 360 videos. 2) Using the extremely intuitive app, you can create a 1080P non-360 punch out from the 360 video. This 2D video content can than be used as part of a larger project. 3) Fusion finally lets consumers realize the true power of 360 video which is the ability to capture every angle and later decide which angles you want to share with the world. Overall, GoPro Fusion is the 360 camera you have been waiting for. Once used, you won't want to put it down. Rated 4 out of 5 by Ocean H. from Quality is outstanding, Software is... ugghhh.... So I don't think any consumer/prosumer level 360 camera can beat the quality of the GoPro Fusion. It's so crisp and dynamic range is so nice! Stabilization is amazing. I really hope GoPro can keep developing this line. The only issue with this product is not the camera itself but the software that comes with it. In order to create an editable 360 video, you need Fusion Studio on a computer, or GoPro App on a phone. It takes FOREVER to render videos, and drains phone battery very fast. If this process could be simplified, I don't think any 360 cameras can compete. Rated 4 out of 5 by Stephen M. from Awesome Camera (or cameras) not so awesome apps I'll start by saying that the Fusion delivers really clean 5.2 K spherical video and it's really fun to shoot with.? Using the free Fusion Studio app on Mac (haven't tried the Windows version), you can render out very nice video images with gimbal-like stabilization.? It's the best stabilization I've ever seen on a 360 camera.? Even with walking and micro vibrations, the hardware/software combination yields buttery-smooth movement.? Using the Fusion is like having 2 GoPro Heros strapped back to back, and the Fusion Studio software allows you to do what GoPro calls "overcapture" which is to say you can do 16:9 HD or 4:3 cutouts from any part of the 360 sphere. But to be clear, you don't need Fusion studio to do 16:9 cutouts. This can easily be done in Final Cut Pro X or Premiere by putting the equirectangular clips into a standard 1080 timeline, then adjusting the orientation of the sphere.? ?The footage cuts perfectly into a project with other GoPro aquired1080 footage. Now the not-so-good news. The app itself is really, really slow to stitch.? I have an iMac Pro 8 Core and 12 minutes of video took 8 hours to render!!? Fortunately, I use another Pro stitching software, and it only took 1 hour for the same footage. So GoPro has to improve how the app is using the CPU - because most folks are NOT going to sit still for 8 hour renders.? Assuming your clips are relatively short and your patient, (let the clips render over night)? the camera is truly amazing and I'm looking forward to taking with me to Hawaii this week. Rated 1 out of 5 by Justin from Camera does not work correctly with Mac OS 10.14.2 or OnePlu My GoPro Fusion shows black when I try to use the GoPro app as a preview screen (I have a OnePlus 6T). Also, when I take a picture and download it, it shows black in the GoPro app when I try to view the image. The app also fails to recognize that I downloaded any images or video. This camera has been way more trouble than its worth. I bought a new computer to handle the bloated software, but the Fusion software doesnt work correctly to import images directly from the camera on Mojave OS 10.14.2. For GoPro customer support, all troubleshooting and a multitude of customer service calls have been useless. They are also refusing to give me a refund. A camera this expensive should not have such issues. Rated 4 out of 5 by Grayce from Amazing VR cam for the money For the cost, the GoPro 360 camera puts out an amazing picture. The video files take a long time to convert using the GoPro app, for use in editing in Adobe Premiere but once in Premiere you can do cool stuff with the video and output a beautiful 360 video ready for YouTube or elsewhere. We've had a little trouble connecting with the app on our phones but no more than we have with any GoPro. The audio is surprisingly good. This camera is fantastic for fun use but works well for us pro's too as a starter cam for VR. Can you use Autopano to create 360 videos? Not at this time, no. GoPro and Kolor both recommend using their Fusion Studio Software, available for free on the GoPro website. Has anyone used GoPro Fusion for 360 degree VR photography? If Yes, how big is the nadir patch after stitching? Can it be removed easily?Thanks in advance. GoPro does not recommend their camera for VR. What is the weight of GoPro Fusion? Is the Fusion Compatible with Google Streetview? 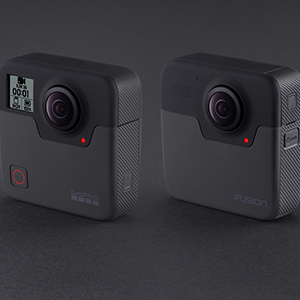 According to Gopro the Fusion will work with Google Streetview. GoPro lists the product has a capacity of up to 128GB per slot. Can you use this camera with Google Street View? Does the GoPro Fusion capture GPS data, that can be used to overlay the 360 video with things like speed and altitude? Thanks!